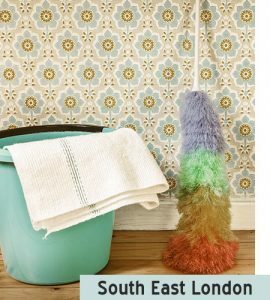 More and more people have started taking advantage of professional one off cleaning services in South East London. This is a great opportunity to have your home cleaned professionally, without having to spend a single minute scrubbing and washing. However, it is very important that you choose the right company, because there are many cleaning agencies which offer one off house cleaning services of questionable quality. We assure you that we are not one of those companies. All our services are carried out by well trained and experienced cleaners who are familiar with latest cleaning techniques. So far, we have serviced hundreds of households and we have always satisfied the cleaning requirements of the customer. Our company has one goal and this is complete customer satisfaction. We constantly improve our services and find new ways to exceed the expectations of our clients. We personally interview each one of our employees In order to make sure that they are reliable enough to work for us. We offer various cleaning services which will surely be appreciated by many homeowners. Our services are of top quality and we also offer some of the lowest prices in South East London. Even homeowners with a small budget can take advantage of our services. We supply our cleaners with top of the shelf products and equipment provided by “Prochem”. We use powerful and eco-friendly detergents which are safe for pets and humans. We’ll clean your home, making it a cleaner, more hygienic and fresher living place. We also offer other cleaning services like oven cleaning, one-off cleaning, sofa cleaning, end of tenancy cleaning and more. All of our employees have been professionally trained and can handle all kinds of cleaning jobs.